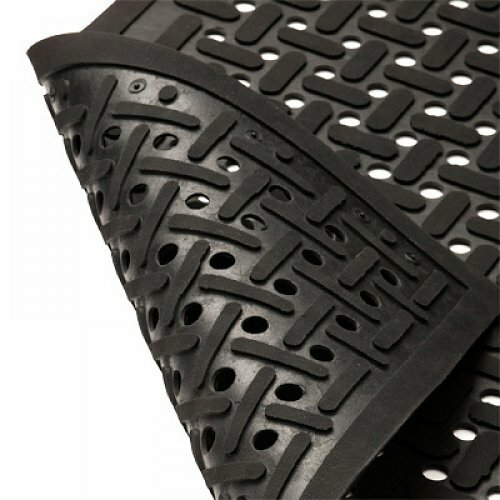 100% Nitrile Rubber closed cell sponge material makes this mat not only extremely tough wearing in greasy and oily environments but also very comfortable when standing at work for long hours. Raised profiles ("cleats" with an embossed anti slip pattern) positioned at right angles to each other offer good traction and minimize slip hazards. Holes for drainage for any spills. 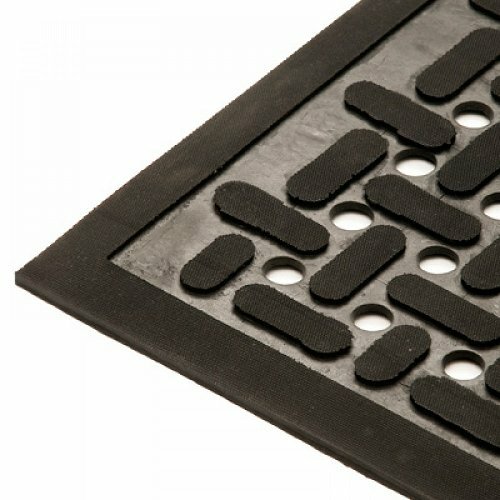 Raised profiles ("cleats") on the underside of the mat improve the buoyancy and comfort whilst facilitating drainage. 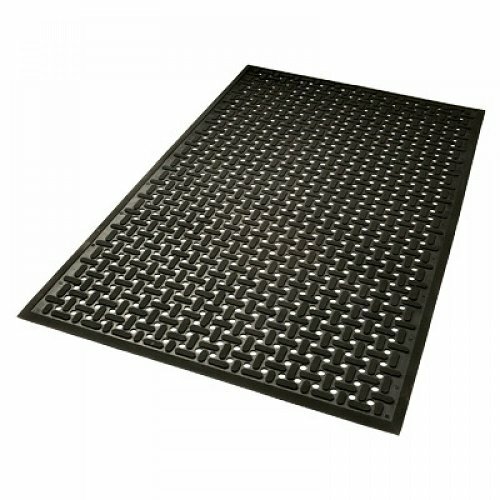 Bevelled edging helps the mat lay flat at all times and minimizes tripping hazards. Can be washed in industrial washing machines if required.